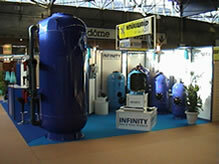 The exhibition will introduce the new products that we have prepared for you for the next season, especially the new types of the sand and multilayer filters designated for the use in the public swimming pools and whirlpools. 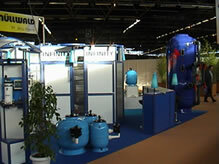 Furthermore, we will also show you the new private pool products, such as the new types of the compact filter units and built-in components. 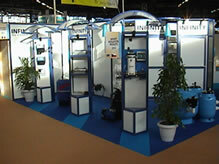 We are looking forward for your visit and as an invitation we attach some photo-graphs from the last year’s fair in Lyon.